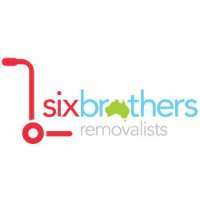 Six Brothers Removalist is the most trusted removalist in Parramatta that can deliver services to all types of customer requirements for movers Sydney wide and beyond. For your peace of mind, while your precious belongings are being handled, or are on the road, we have our whole system insured. Our meticulously trained and highly experienced professionals pick each and every item with utmost care before packing it safely in appropriate boxes. We, at Six Brothers Removalist Sydney, value the busy schedule of an average Sydneyite. We understand the importance of safe transfer of your belongings. We know the emotional value attached to one’s belongings cannot be exchanged with new purchases. For the most trusted and reliable removalist in Parramatta, contact Six Brothers Removalist today!